Join the UNM Latin American & Iberian Institute and the National Hispanic Cultural Center for a free professional development workshop for K-12 educators focused on Día de los Muertos. 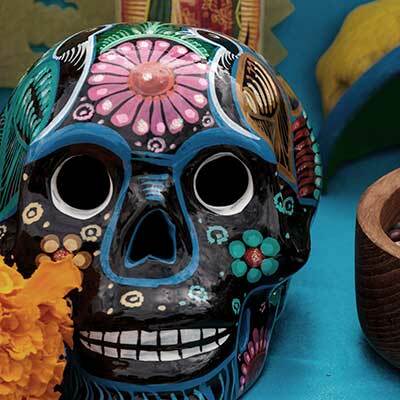 Using culturally relevant resources, participants will learn how to integrate Día de los Muertos into their classrooms through art and literacy based activities that explore the history and practices associated with this tradition. We will refer heavily to our free Educator's Guide to Día de los Muertos, which offers over 100 pages of hands-on art activities and literacy exercises to bring Día de los Muertos to the classroom. This event is free, but participation is limited to K-12 educators: in-service and pre-service teachers, educational aides, administrators, and librarians. Registration is required. Certificates of professional development will be given and dinner will be provided.